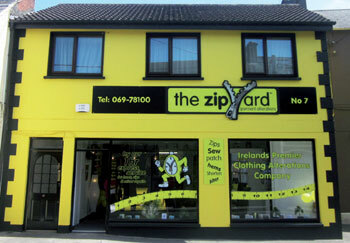 The Zip Yard's branding is bold and highly visible. 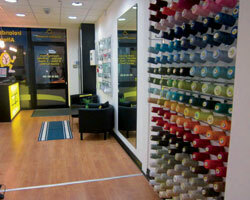 This separates us from our competitors and helps us to dominate the high street. We believe in our service and our brand is becoming one of the most recognisable to date. Our outlets are finished to the highest of standards and include a 'state of the art' computer system and machinery. Our tailors and seamstresses work in full view of the public so customers can see for themselves the high standards of workmanship. You will be partnering with a successful company with a proven business model in a growing sector. You will be your own boss while having the support of The Zip Yard Management Team and group. A background in the garment alterations industry is not required, It is a turn key investment so full training will be provided. Furthermore, we will assist with finding the right premises in the best location, as well as recruiting and training staff. 'Best Emerging Franchise' & 'Franchise of the Year - Retail' for our Dun Laoghaire branch. 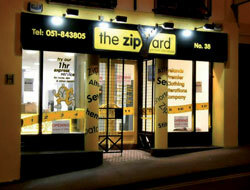 Please complete the short form below to request more information from The Zip Yard Franchising Ireland Ltd. In the future you will be able to login using your email address and postcode to quickly request information from other companies.